African-American artist Archibald J. Motley Jr. was born in New Orleans, Louisiana on October 7, 1891. At the age of two Motley was taken by his parents to Chicago when they decided to move north to seek better employment. The family finally settled in the Englewood neighborhood (then a predominantly white immigrant community) on Chicago’s south side. Motley’s father, Archibald J. Motley Sr. was a Pullman porter, while his mother Mary F. Motley was a school teacher. Motley’s only other sibling was his sister Flossie Motley. In 1909 at the age of eighteen, after having spent a few years working for his father and the Michigan Central Railroad, Motley entered Englewood High School. Here he met his future wife, Edith Granzo. Much of their early relationship was secretive, due to the fact that Granzo was German-American and they were seeing each other at a time when interracial relationships were considered unacceptable. Motley graduated from Englewood High in 1914 and enrolled in the School of the Art Institute of Chicago. Motley received high grades despite his demanding class and work schedule. To help offset his school tuition, Motley cleaned statuary in the school galleries. 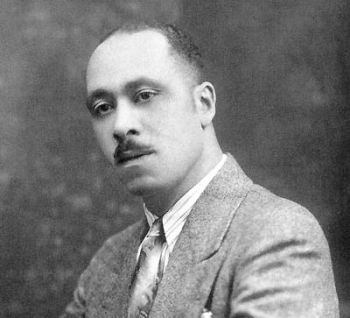 After graduating in 1918, however, Motley found difficulty in acquiring employment as an artist because of his race. Nonetheless, Motley began his career as an artist. Some of his most popular works emerged in this period including Portrait of My Father (1921), Mending Socks (1924), and The Octoroon Girl (1925). In 1924, Motley married Edith Granzo, who helped support him financially during the rest of the decade. That support enabled the artist to focus completely on his work which had begun to receive recognition from various institutions. In the winter of 1928, for example, Motley had his first one man exhibition at The New Gallery in New York. The exhibition was a major success and led to a Guggenheim Fellowship in 1929, allowing him and his wife to move to Paris for a year to work on his art. After completing a series of paintings in Paris, the Motleys returned to their home in Chicago in 1930. A few years later, in the midst of the Great Depression, Motley found work with the Federal Art Project (FAP), a New Deal program created to provide artists with employment. In 1933 Motley and his wife gave birth to their only child, Archibald Motley III. After the death of his wife Edith in 1948, Motley put his artistic career on hold to support his family. Despite his early success he now went to work as a shower curtain painter for nine years. Motley returned to his art in the 1960s and his new work now appeared in various exhibitions and shows in the 1960s and early 1970s. Archibald J. Motley Jr. died in Chicago on January 16, 1981 at the age of 89. Jontyle Theresa Robinson and Wendy Greenhouse, The Art of Archibald J. Motley, Jr. (Chicago: Chicago Historical Society, 1991); Michael D. Harris, Colored Pictures: Race and Visual Representation (Chapel Hill: University of North Carolina Press, 2003). Jontyle Theresa Robinson and Wendy Greenhouse, The Art of Archibald J.
Motley, Jr. (Chicago: Chicago Historical Society, 1991); Michael D.
University of North Carolina Press, 2003).